If you’re a fan of Fibonacci plays, this setup might entice your taste buds! 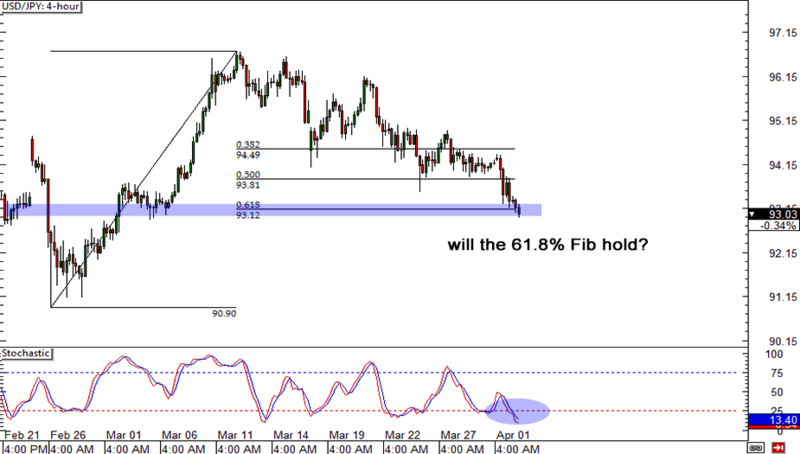 USD/JPY has backed off its recent high and is now testing the 61.8% Fibonacci level. With Stochastic now in oversold territory, it might be time for the bulls to enter the market. If you remain unconvinced though, you could wait for some Fib-sticks to form before loading up on a buy position. Looking to short the euro? Take a look at this sweet setup on the 4-hour chart of EUR/USD! 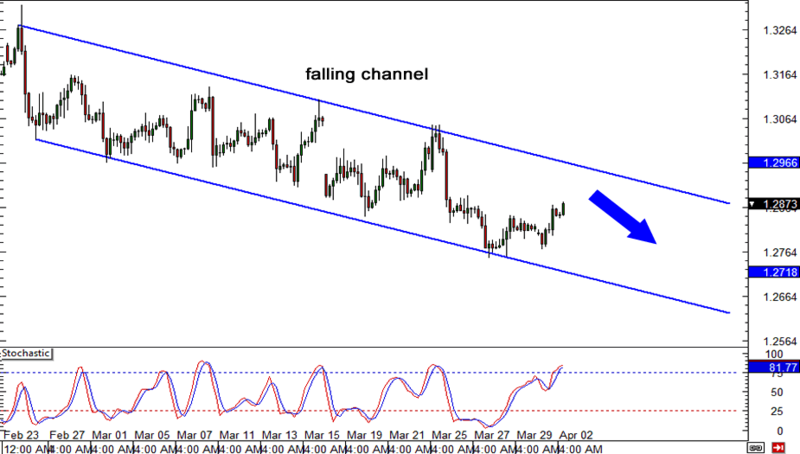 The pair is currently trading within a descending channel and is now making its way to the falling resistance line. Your best bet might be to wait for a solid test of the resistance line at around 1.2850 and see if any reversal candlesticks form. Lastly, here’s a look at Happy Pip‘s favorite comdoll, AUD/USD. 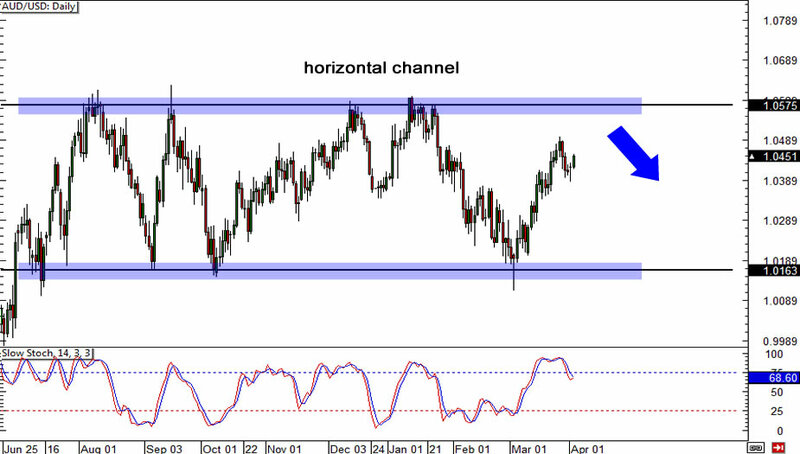 Scrolling out to the daily chart, we can see that this bad boy is actually stuck within a huge horizontal channel. For now, it’s trading in no-man’s land, so your best bet would be to wait for a retest of former highs around 1.0575.